Eat. Sleep. Work. It seems like that’s all any of us have time to do anymore. What most employers and employees don’t realize is the importance of sleep. It’s one of the best preventative measures that one can take to help to avoid a potentially fatal work accident. The need for sleep is biologically similar to the need to eat and drink, and it is critical for maintaining your health and for working safely, according to the Centers for Disease Control and Prevention (CDC). Workers should be sleeping between 7 and 8 hours each night, or between shifts. This amount of time has been linked not only better health, but also a number of better safety outcomes. Officials with NIOSH have been working diligently with researchers to protect workers’, workers’ families, supervisors, employers and others in the community from the dangers that are linked to long work hour and long shift work. All signs are pointing the same way; for safer work conditions, we need more sleep. 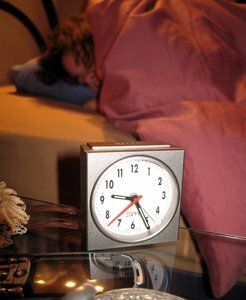 Our Boston workers’ compensation attorneys understand that there is a growing number of employed residents who just aren’t getting enough time to sleep at night. These workers are subsequently at a higher risk for work accidents. As a matter of fact, this number increased from about 25 percent in the 80s to about 30 percent in the 2000s. These numbers constitute workers who say that they’re getting less than 6 hours of sleep each night. Six hours just isn’t enough, according to sleep experts. -Not enough time to recover from work. -A decline in both physical and mental function. -An increased risk of getting sick or getting injured. -A lack of sleep can put a strain on relationships. -A higher risk of long-term health effects. -Workers are not as productive. -Errors in work are more likely. -Employees are less likely to show up to work. -Try to schedule workers with at least 10 consecutive hours away from work. -Be sure to provide plenty of rest breaks. -Consider having workers present for only five 8-hour shifts or for four 10-hour shifts a week. -Examine work load when making schedule. Lighter work loads should be saved for longer days. -Make sure that all workers are provided with the proper training. The bottom line is that sleep and rest is a little more important than we might all think. Make sure that your employer is offering you with an adequate amount of time to sleep between shifts and more importantly, make sure that you’re taking advantage of that time and are using it wisely.